A strong-tasting English aged blue cheese, Stilton gives this soup a rich flavour. Break the broccoli into florets, discarding any tough stems. Set aside 2 small florets to garnish the finished soup. Melt the butter in a large saucepan. Add the onion and leek and gently sauté until soft but not coloured. Add the broccoli, potato and stock. Cover and simmer for 15–20 minutes until the vegetables are tender. Set the soup aside to cool slightly. Pour the slightly cooled soup into a food processor or blender and purée until smooth, then return the mixture to the pan. Add the milk and cream and season to taste. Reheat slowly. Just before serving, add the cheese, stirring until it melts.Do not allow the soup to boil. While the soup is gently reheating, blanch the reserved broccoli florets and thinly slice them lengthwise. Ladle the soup into heated bowls and garnish with the sliced broccoli and a generous grinding of black pepper. 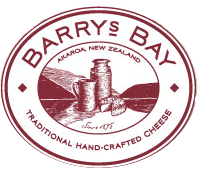 Try Barry's Bay Peninsula Blue as your Stilton alternative.